Amok Time Toys has opened up pre-orders for their next Creepshow 3.75″ Scale Figure. Their next release will be Fluffy, the best from “The Crate“. The figure itself will feature 6 points of articulation. It will include the crate, which will have a hinged door, chains and locks. 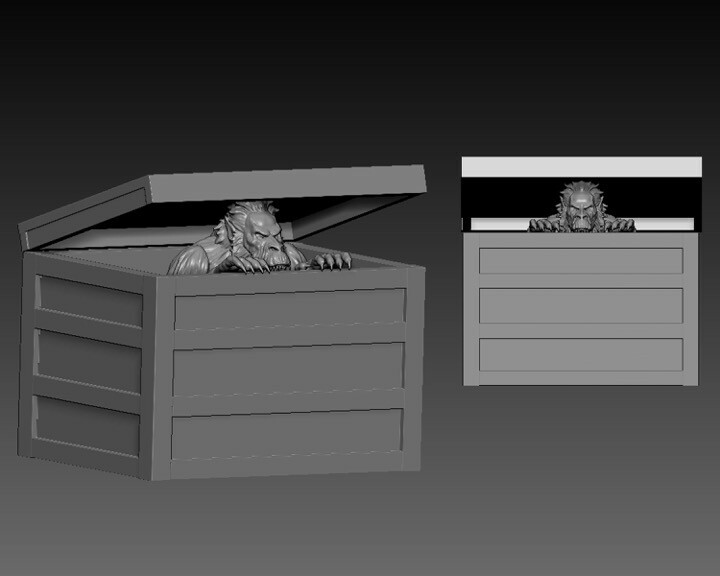 The packaging will be set up to look like stairs, with the crate itself stored underneath. The deluxe box set is priced at $29.99 with free shipping. It has a release set for March 2019. Right now, only unpainted 3D renders have been released. See details below and click the headline of the story for the images. Our fourth Creepshow action figure is a deluxe box set in production now and arriving in March. 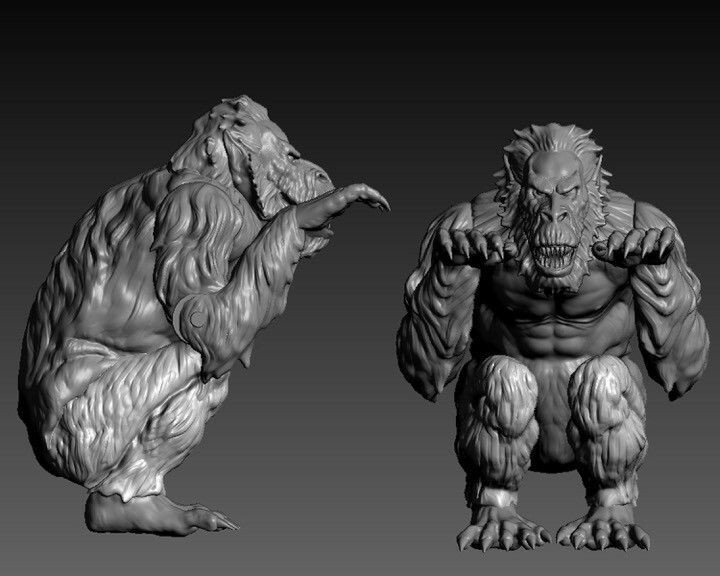 Here are some pics of the approved digital sculpt. More pics and info will follow as they are ready. 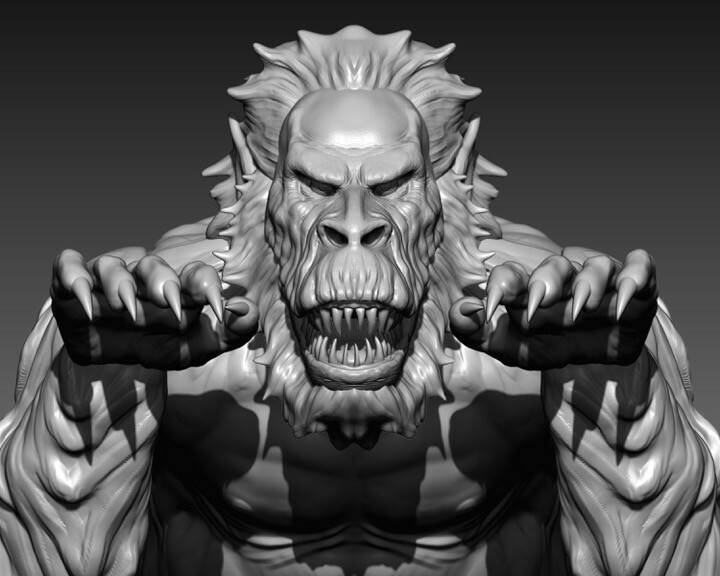 Please note pictures are of the approved digital sculpt. Painted pics and final details are being added and will be posted as soon as they are available. 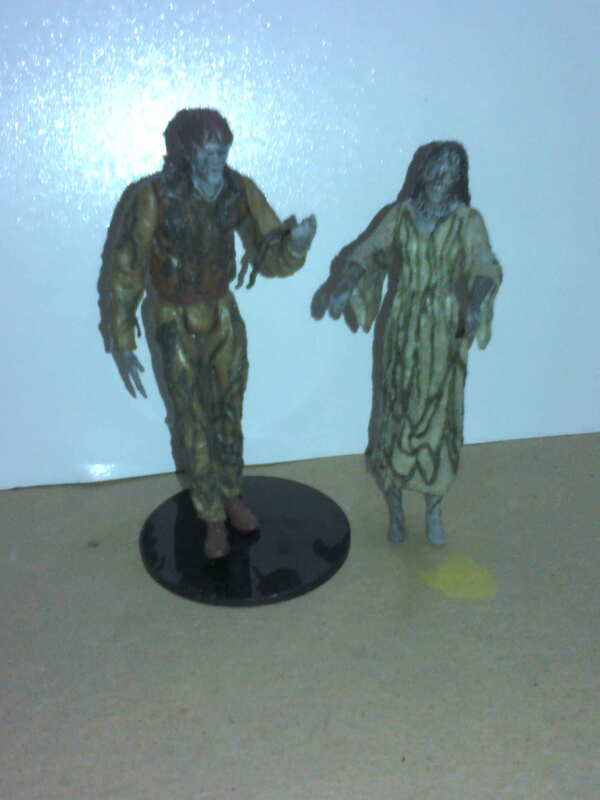 Monstarz proudly presents it’s fourth CREEPSHOW release. “Fluffy” the crate beast, from Creepshow’s fourth terrifying tale, “The Crate” . A retro style collectible that will fit in perfectly with most 3.75in scaled action figure lines. – Shoulders, elbows and wrists. – Deluxe staircase box where Fluffy and the crate are stored under the stairs. 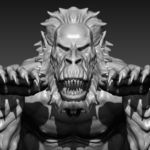 Pictures show the approved unpainted digital sculpt. More pictures of paint, accessories and package info will be added as they become available. Just tell it to call ya Billie. 4th release? What were the other 3? This looks ok, but I'll take whatever I can get for Creepshow. Is sounds like they're counting the "Something To Tide You Over" Set as 2 releases. Beautiful!! Definitely need to pick this guy up. Anyone have experience with Amok and know if this is something you have to preorder to get it or do they usually have some in stock when the items come out? They should have them in stock when it comes out. I usually buy direct from them at local horror shows. Yes, I have made numerous purchases from them. I live within close driving distance of their Hicksville, NY store. They always have plenty of their exclusives in stock. Cool thanks for the info! Definitely want this guy. BTW, his name is Fluffy.